When thinking of Oriental rugs, most people naturally think of the ornate and beautifully designed rugs from the historic Persian area. Although these rugs provide a high level of quality and elegance, many small tribes and territories produce equally beautiful oriental rugs and carpets. The village of Ardebil rests in what is now called the Republic of Azerbaijan. Previously part of the Azerbaijan province of north-west Persia, the village of Ardebil claimed its own independence with the Azerbaijan Democratic Republic in 1918. In the 16th and 17th century, Ardebil weaving culture focused on creating affordable, simple rugs that predominantly feature geometric designs. Their rugs also show a distinct Caucasian influence in the design patterns and color choices. Predominantly in the 16th and 17th century, magnificent floral carpets were produced under the Ardebil name. However, these rugs were not produced in the Ardebil village, and they should not be mistaken for Ardebil rugs. The rugs and carpets that the Ardebil weavers create have a much lower quality than the floral carpets from 16th and 17th century. The typical Ardebil rugs are more coarsely knotted with thick cotton wool pile. 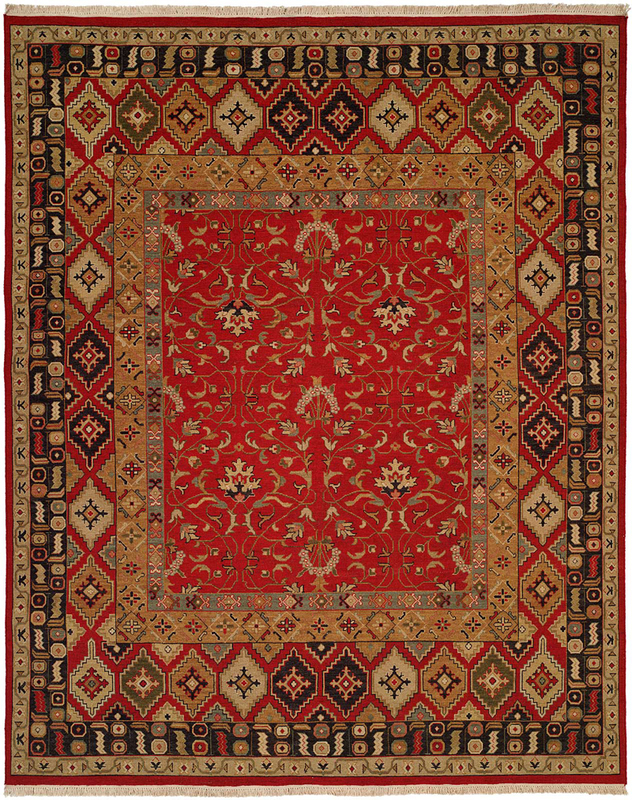 This wool lacks the luster that many Persian-era rugs possess, making them seem slightly flat in comparison to other styles. Ardebil rugs typically feature a medallion design with two to three pendants or one large central pendant and repeating octagonal forms that border the edges of the design. Because the rug designs are so limited, the construction process remains relatively unchanged between products. In addition to similar designs, Ardebil rugs also use similar colors in each product – sticking to bright reds, deep blues, and ivory colors. These rugs also commonly feature yellow and lime colors to accent small pieces of the rug’s design. Because Ardebil rugs are generally lower quality and less elaborate than most rugs, they are less expensive. These rugs fall in the low/medium price range, and come in many different sizes to fit any budget. Since these rugs aren’t expensive, they are not typically noted for their investment potential; however, with the growing scarcity of Persian village rugs, they could become better investments in the future.